"The Nikon D7000 is a 16.2 million effective pixel DSLR camera, considered to be at the enthusiast-level, and an upgrade to the D90 and D5000 models by Nikon (dpreview.com). That being said, early reviews of the D7000 have it challenging the much respected, semi-pro grade Nikon D300S. This new Nikon DSLR features full HD video (1920 x 1080 at 24 fps), a 3" LCD screen with 921,000 pixels, and 6 fps continuous shooting." 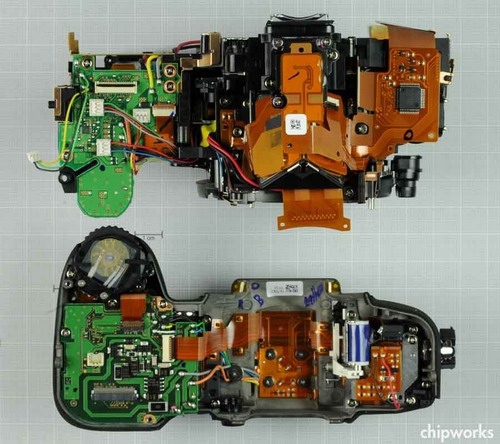 Curious about what the guts of a DSLR look like? Then feast your eyes on this article!